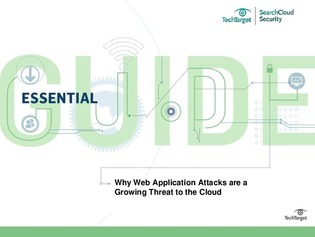 A recent research paper published by Alert Logic, based on output from its cloud security service running across a large number of clients, found that 73% of cyberattacks focused on the cloud were directed at web applications. Web application attacks can affect both your organization and your clients directly. Hackers can potentially extract information directly from the database behind the application. In many cases, these web application attacks are fully automated, and they may not even be targeted specifically at the vulnerable application. This demonstrates that organizations must ensure they are not complacent when hosting applications in the cloud. Read on to find out what cybersecurity expert Rob Shapland has to say about the risks of storing web applications in the cloud and what your enterprise can do.